Let's be honest. Anything fried is bound to taste good. 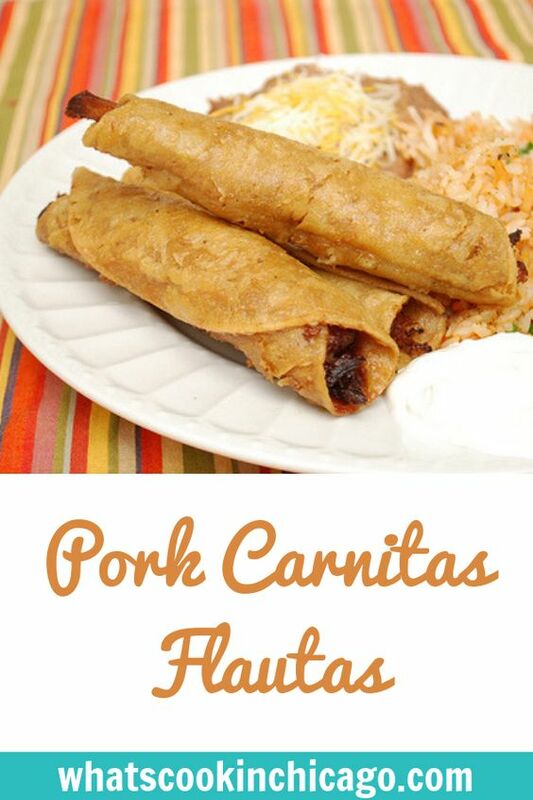 These flautas are delicious regardless of what you fill the corn tortillas with! I used leftover pork carnitas (in which I linked a recipe to) but you can certainly use leftover chicken, ground beef, or even cheese and bean to make other flauta varieties. 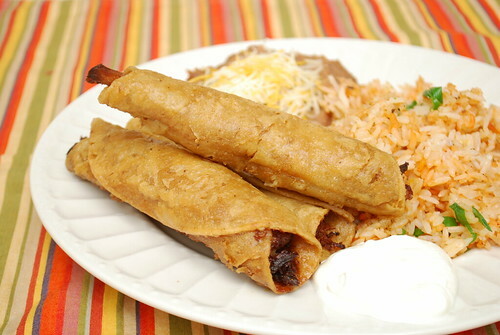 The key is to roll the flautas really nice and tight, making sure they are pulled taut before securing with toothpicks. Doing so prevents the flautas from opening up in hot oil... not a good thing. I've also found rolling them up tight and freezing helps hold their shape well. If you freeze them, you can also fry them from frozen... making them a great make ahead appetizer/dish to enjoy later or for a party. Combine the shredded pork with cumin, oregano, salt and pepper and set aside. In a skillet over medium heat, add 2 cups of vegetable oil and heat to 375 degrees. Meanwhile, fill each corn tortilla with 2 tablespoons of the seasoned shredded pork mixture in a line along the bottom edge of the tortilla. Tightly roll the tortilla into a cylinder, and secure the ends with one or two toothpicks. Repeat with remaining tortillas. Fry the flautas in the preheated oil, no more than 4 at a time, until golden and crisp, about 4 minutes. Drain the flautas on a paper towel-lined plate. Discard toothpicks and enjoy the flautas with your favorite accompaniments and/or toppings. Fried and Pork are two of my favorite things! Love that these can be made ahead and fried from frozen. I love flautas!! These look delicious!